Yunpeng Wang | The Chamber Music Society of Lincoln Center. Featured on the cover of Opera News as one of “opera’s exciting new voices,” Chinese baritone Yunpeng Wang is quickly gaining international recognition on both the opera and concert stages of the world. In the 2016/17 season, Wang returns to the Metropolitan Opera to sing Mercutio in Bartlett Sher’s new production of Roméo et Juliette, conducted by Emmanuel Villaume, and appears as a soloist in the Met’s 50th Anniversary Gala. He also makes his house and role debut as Zurga in Bizet’s Les Pêcheurs de Perles with the Tulsa Opera and sings in a concert of Verdi arias and duets with the Dallas Opera. Wang will conclude the season with his Japanese debut as Almaviva in a new production of Mozart’s Le nozze di Figaro at the Hyogo Performing Arts Center, conducted by Yutaka Sado. 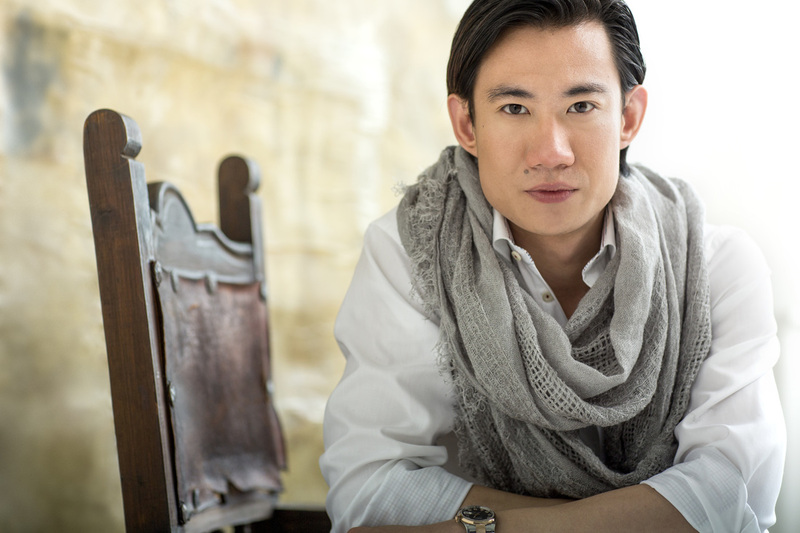 In the 2015/16 season, Wang completed his third year as a member of the Met’s Lindemann Young Artist Development Program with appearances as Prince Yamadori in Madama Butterfly, which was broadcast through the Met’s Live in HD series to movie theaters around the world, and Fiorello in Rossini’s Il Barbiere di Siviglia, conducted by Antony Walker. He also returned to the Rossini Opera Festival in Pesaro, Italy to make his role debut as Figaro in a concert version of Il Barbiere di Siviglia, under the baton of Alberto Zedda, and sang Guglielmo in Così fan tutte with the Macao Symphony. Concert and recital engagements from the 2015/16 season included Wang’s debut with the Opera Orchestra of New York as Duke Azzo in Donizetti’s Parisina d’Este, conducted by Eve Queler, of which the New York Times said he “brought elegant phrasing and keen dramatic instincts.” Additional engagements included his UK recital debut at St. George’s Hall in Liverpool, the Met’s Summer Recital Series in New York City parks, and debuts with both the Chamber Music Society of Lincoln Center and Philadelphia Chamber Music Society, singing Brahms’s Liebeslieder Walzer and Schumann’s Spanische Liebeslieder with Cecile Licad and Ken Noda, respectively. 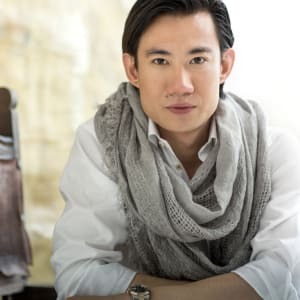 Highlights from Wang’s previous seasons include his house debut with the Metropolitan Opera as Fiorello, a Flemish Deputy in Don Carlos under the baton of Yannick Nézet-Séguin, and his company debut in the Met’s Summer Recital Series. Additional roles included Almaviva in Le nozze di Figaro at the National Centre for the Performing Arts in Beijing, Don Profondo in Rossini’s Il Viaggio a Reims with the Rossini Opera Festival at the Teatro Rossini, as well as Agamemnon in Gluck’s Iphigénie en Aulide under Jane Glover and Fieramosca in scenes from Berlioz’s Benvenuto Cellini under by James Levine, both with Met+Juilliard. On the recital and concert stage, Wang’s performances have included his Carnegie Hall debut in collaboration with The Musical Olympus Festival, Alice Tully Hall debut with the I Sing Beijing Program and The New York City Opera Orchestra, Mahler’s Lieder eines fahrenden Gesellen with the Santa Cruz Symphony, and the Voices of 2012 concert with the Budapest Symphony Orchestra MÁV in Pécs, Hungary. Additional appearances include Beethoven’s Symphony No.9 and Xian Xinghai’s The Yellow River Cantata with the Hartford Symphony, and a performance at the “Zürich Stiftung Opera Bel Canto Night” under the tutelage of Francisco Araiza in Zürich, Switzerland. Yunpeng Wang received his Bachelor of Music from the Central Conservatory of Music in Beijing and a Master of Music in Vocal Performance from The Manhattan School of Music. He was the recipient of the Second Prize, Zarzuela Prize and Audience Favorite Award at Plácido Domingo’s 2012 Operalia Competition, First Prize in the 2014 Gerda Lissner Foundation International Vocal Competition, and First Prize in the Alan M. and Joan Taub Ades Vocal Competition.